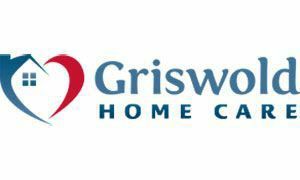 Griswold Special Care is an international non-medical home care company referring caregivers who provide personal care, homemaking and companionship to the elderly and infirm. Entrusting the care of your loved ones to someone else is an important and difficult decision. If you or a relative are struggling with Alzheimer`s, Parkinson`s, Multiple Sclerosis, ALS, Cerebral Palsy, dementia, cancer, stroke, or simply need a little help with activities of daily living, we have a caregiver who qualified to provide you with caregivers who have the skills, commitment and passion for caring required to help clients remain independent and at home. Without us, you must withhold taxes, pay taxes, and make all employee filings for income tax, social security, and unemployment. We provide workers` compensation insurance, professional liability insurance and bonding. Remember: if you hire a caregiver privately, homeowners` insurance does not cover your liability for claimed employee injury and lost wages. We give seamless coverage. When your regular caregiver needs time off, falls ill or moves out of town, we ensure continued coverage. We ensure quality. Only 1 in 8 applicants to Griswold Special Care becomes a caregiver, providing you with the best home care available. We train caregivers for specific circumstances and follow up with unannounced home visits and telephone calls to family members.